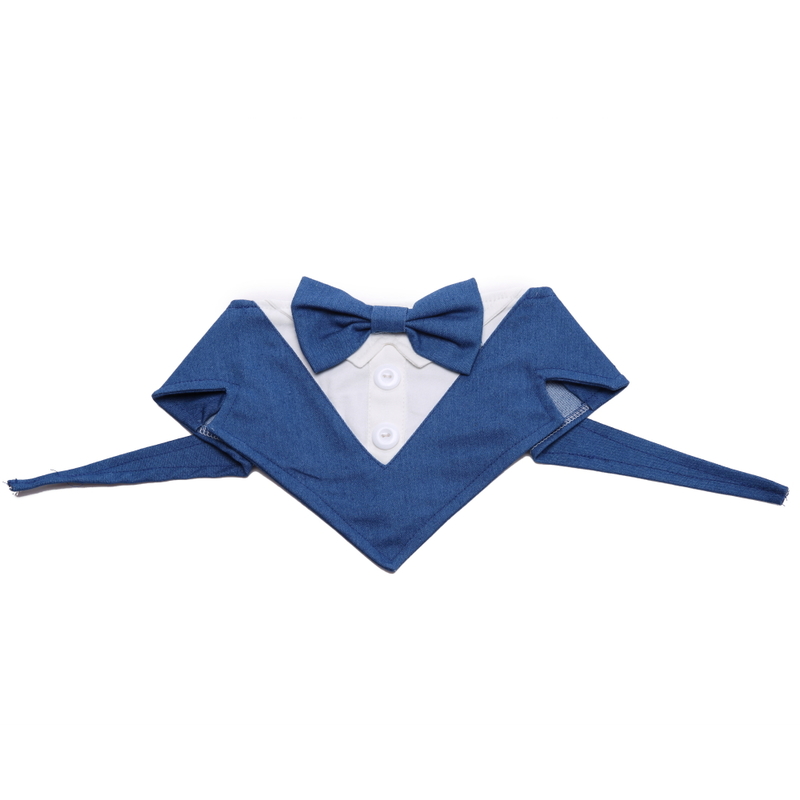 1 , Scoop neck formal bandana features collar with bowtie design, along with decorative buttons. 2 , It can be converted into a slip-over-the collar bandana. 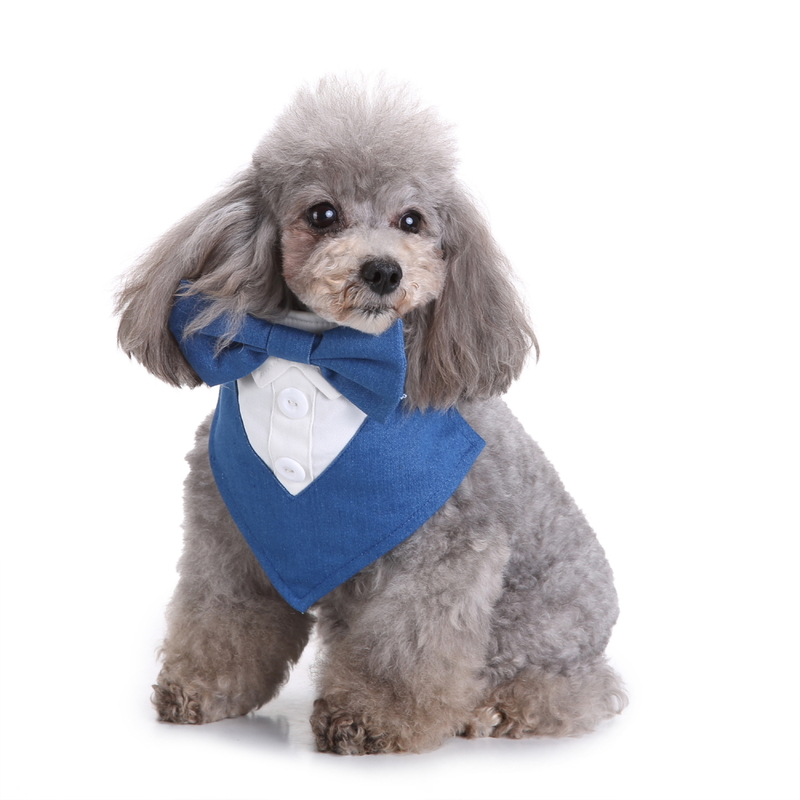 3 , Perfect item for that special event that includes your furry friend.